in SF & Fantasy Reprints!! Much to my chagrin, I just discovered that the previous web-hosting for this site has gone phht, and visitors were getting a 404 "missing" page. I am doing a rush job slapping together some improvised hosting and some sort of interim page based on elderly backups that are the first thing to come to hand, so at least there is something here. This site is embarassingly out of date, and some links need fixing -- but at least here's some duct tape over the crisis in the meantime. I attended the the Wrangling with Writers Conferences 24-26 September, 2010, in Tucson, Arizona. These files are a bit long in the tooth, but I think the observations and advice are still valid. All files are in PDF format, so you'll need Adobe Reader or the like. You can right-click on the links and save the files direct to your own computer. Enjoy. But wait -- here's more advice, maybe even good advice this time, in the form of some very bad examples. 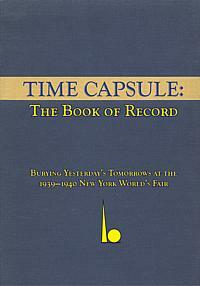 The Book of Record of the Time Capsule tells the people of the Future where to find the secrets of the past. But The Book of Record has it own story --one that has waited for far too long to be told. Learn how the world's first Time Capsule was created -- and what the plans are for finding it, five thousand years after its burial. 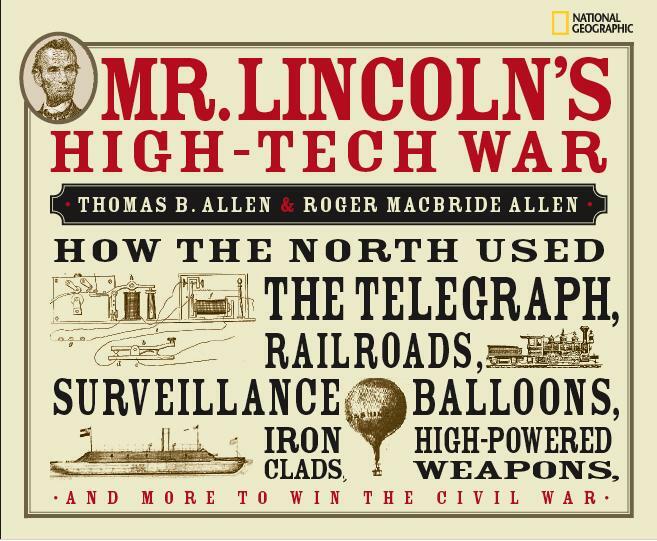 This book shows how President Lincoln used new technologies to change forever how war was fought, and how he used those technologies to help to shape wartime strategy in ways that had a profound effect on the political landscape of the nation. Click on the book cover to visit the website for this title. This photo is alarmingly out of date. I'll try to dig up one that reflects my current and more decrepit condition. *That's not accidental bad grammar -- it's a Buckaroo Banzai reference. my books, and order them from a variety of online booksellers. 20 July 2005. Happy Moonday! (35th Anniversary of the first Moon landing.) As ever and always, I have been very late in getting this site up to date.We're moving back to the United States next week, after three years here in Germany, and there is a lot to do -- so I STILL won't get this thing up to date. Suffice to say, for the moment, that I have I delivered the revisions on a new novel to Bantam, and I'm waiting to hear back. (Current planned title is BSI STARSIDE: THE CAUSE OF DEATH.) Two day after we return to America, I am going to my 30th high school reunion -- and that ought to be interesting as well. I am looking forward to more time to work on my books, on FoxAcre Press, and about 53 other things. Probably I won't actually have the time,, but hope springs eternal. More soon. I promise. 31 January 2003: Well, we've been in Leipzig, Germany, since September 15, 2002, and about as settled in as we're going to get. Yesterday I finished the first draft of THE SHORES OF TOMORROW (see link above) so maybe I'll have more time to write about what's going on here. 28 February 2006: BSI STARSIDE: THE CAUSE OF DEATH is now availabe from bookstores and online booksellers. December 2003. 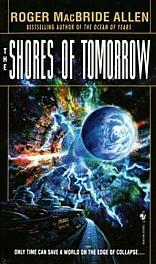 The Shores of Tomorrow is now available from bookstores and online booksellers. 20 May 2003. Well, the manuscript has been back and forth from my editor, and I have now completed the basic proofreading on THE SHORES OF TOMORROW, and everything seems to be moving along smoothly. 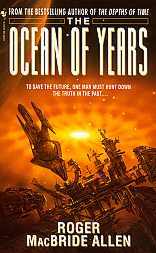 On 30 January 2003, I completed the first draft of THE SHORES OF TOMORROW, third book in the trilogy started by THE DEPTHS OF TIME and THE OCEAN OF YEARS. This series is grand-scale science fiction of the far future that takes in time travel, terraforming, interstellar travel, wormholes, and a mystery centuries old. Click here title to read chapter one of THE DEPTHS OF TIME, or click here to read reviews of THE DEPTHS OF TIME, or else click here to order these or other titles from a variety of online booksellers. Click on the covers to order the books direct from Amazon.com! Watch this space for further updates. 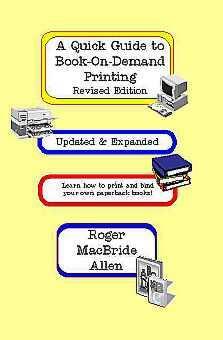 I recently completed revisions to A QUICK GUIDE TO BOOK ON DEMAMD PRINTING.. I've expanded the text by about twenty percent, adding lots of new information on how to make your own books -- or get others to make them for you. Visit the QUICK GUIDE'S info page to learn more. FoxAcre Press publishes reprints of classic science fiction, books on writing and publishing, and general non-fiction. Click here or on the FoxAcre logo to go to the FoxAcre website at www.foxacre.com. New From FoxAcre! The revised edition. Learn how to create your own paperback books. Visit the BOOK-GRID for ordering information, click here or on the book cover to order the book direct from Amazon.com, or else click here to go to the info page for this titiel on FoxAcre's website, and for links to the book-on-demand information page . My father, Tom Allen, has his website at WWW.TBALLEN.COM. Click on his picture or the web address to go to his home page. Click HERE or on the picture for some now rather old photos of our first son, MATTHEW THOMAS ALLEN. He's a lot of fun. (Or visit www.matthew-tom.com for more current shots of Matthew and his kid brother, JAMES MAURY ALLEN. Nothing. Nothing new at all. Well, maybe that's an exageration, but there haven't been many earth-shattering developments around here. Between proof-reading my manuscript and my work on various projects for FoxAcre Press, I don't get out much. My book, THE GAME OF WORLDS, won the HAL CLEMENT AWARD for 2000. It is part of OUT OF TIME, a series developed by David Brin, and featuring books by Nancy Kress and Sheila Finch. Click on a title or book cover to go directly to that book's order page on WWW.AMAZON.COM. Click on the author's name to go directly to the author's home page. The first two books seem to be out of print at this time. Back to What's New--- Return to top of page. Some of the journals and essays aren't exactly cutting-edge, brand-new stuff, but if you haven't read them, they'll be new to you, even if they've been here a while. Old columns from THE VIEW FROM HERE are also available. I haven't done a column in a long, long time. Until I get some new one posted, click here to see the old columns. It's a bit long in the tooth, but here's our 1997 Summer Travel Journal. This journal covers the period of our departure from Brazil, our travels and visits about Jamaica and the United States, and our return to the Washington, D.C. area. Click on 1997 Summer Travel Journal. There are no doubt typos galore in it, but it was entered from the road under make-it-up-as-you-go-along conditions. But, for all of that, it's an accurate, and I hope entertaining, account of what life was like for Eleanore and myself during that long and complicated trip. It's several years old now, but here's my Winter 1996-97 Travel Journal details my adventures over the Christmas break in Brasilia, Sao Paulo, Atlanta, San Francisco, Carmel, Fresno, Salt Lake City, New York City, Washington, Chicago, Evanston, Detroit, and London. It was quite a trip. To learn more about the Writers' Workshop I used to teach on CompuServe Science Fiction Literature Forum, click on Workshop. Click Here to see what I've learned from years spent in teaching the craft of writing fiction. This link will lead you to a discussion of Media Tie-Ins and why it is not only just impossible for a beginning writer to get one published, but also why it a bad idea to take the gamble. The short form: your odds of success are far greater if you write your own completely original material. And in a somewhat less serious vein, Click Here to see how the professionals format manuscripts, prepare cover letters, and prepare the all-important Self-Addressed Stamped Envelope. In January 1998, USA Today's Online Edition asked me to write the opening of a science fiction story. Readers were invited to submit the subsequent paragraphs of the story. My job, at the end of January, was to come in and do the ending. It sounded like fun to me. It was a fascinating and entertaining exercise for me. Every one of the co-authors took the story in a quite unexpected direction. Trying to get at least some of their ideas worked into my ending was far from easy. I also have to admit that the word-length limits were a real challenge. I am used to working in hundreds of thousands of words. I had to compress my contribution down to the absolute bare minimum. It was a fun and interesting challenge. This link will take you to the resulting story. Click here to see a complete list of my books in print. Click here for a complete list of my books. 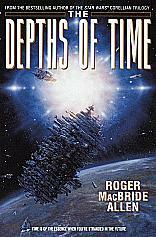 My latest novel, THE DEPTHS OF TIME was published at the end of February, 2000. It is the beginning of THE CHRONICLES OF SOLACE, and tells the story of a far-future society where both a carefully controlled form of time travel and a less-well-controlled form of terraforming are in common use. It is also the story of what happens when something goes terribly wrong with both technologies... This is a new start for me, and is unrelated to any of my previous work. I am quite pleased with it. Click here to read Chapter One. Or else have a look at the quite favorable reviews. UTOPIA, was a MAIN SELECTION for the Science Fiction Book Club in February, 1997. UTOPIA was published by Ace Books in a trade paperback edition in November 1996. I have had several books at the SFBC in the past, but never as a Main Selection. It's a tremendous honor, and I am absolutely delighted by the news. Click on the book cover to see a sample chapter. UTOPIA , published in November 1996 in trade paperback by Ace Books, is the third book of a trilogy of Asimovian robot novels. The previous two volumes in the series, CALIBAN and INFERNO, were quite well received, and I think -- or at least hope -- that UTOPIA will bring the series to a satisfactory conclusion. Millennium Books is publishing the series in Great Britain. Click here to see a sample chapter of UTOPIA. I receive manyqueries, asking if I plan to do any further work in the series of books started with THE RING OF CHARON and THE SHATTERED SPHERE. The answer is yes -- but not just yet. I have not decide when I will write the next one, but I definitely will write it. I have always intended to write an open-ended series of book in this universe. I plan to call the next one THE FALLING WORLD. I looked over my notes for that book a while back, and I must admit reading them made me want to get started on it soon. However -- I do have other books I want to write as well. Sooner or later, I will juggle my time enough to let me make a start on THE FALLING WORLD. I'll keep you posted. ALLIES & ALIENS (Baen Books, paperback, June, 1995). ISAAC ASIMOV'S INFERNO (Ace Books, trade paperback, October 1994). Click here for details on these and other books. Click HERE or on the picture for the latest photos of our son, MATTHEW THOMAS ALLEN. He's a lot of fun. Photos! Click Here to see a list of other snapshots you can view. Because pictures can take a long time to load, I've set it up so you see a list of text descriptions of the pictures before you load the images themselves. Click on the choices to see one picture at a time. Many Web viewers have some way to clear all the menus so you see the full page. You might want to choose that setting to view the pictures more easily. Just to show that this really is a World Wide Web, here I am in Brazil. The computer I upload these pages to is in the western United States (I think). I have gotten email from people in Russia, Israel, England, Japan, the U.S., Australia, Canada, Ecuador, Brazil, Vanuatu, Hungary, Italy and New Zealand saying they have seen this page. Drop me a line if you get to this page from some place interesting. Other Authors who have home pages here on SFF NET. SFF Net is Greyware's HQ for all thing science fictional and fantastic. Chat rooms, FTP, Newsgroups, web pages, and who knows what. Write to info@greyware.com to get more information on Greyware. Jump to the Science Fiction Book Club's web page. Tor Books Jump to the Tor Books home page. The Del Rey web page for Del Rey information. John Betancourt's WILDSIDE PRESS , a place of many interesting things. Amazon.com Books A cool place to order books right off the Web. Maurizio Manzieri is an Italian science fiction artist. He did the cover for the new Italian mass-market edition of THE SHATTERED SPHERE -- which looks terrific, by the way. Colin Dijkgraaf in New Zealand has a web page with links to various authors. Communidade Brasil A link in Brasilia to Things Brazilian, many in English. A link to language study -- and language study is something I certainly need. Covers LOTS of languages. There have been 47231 visits to this page since March 15, 2002.